Najafgarh jheel (lake) was almost on the verge of being wiped off the map as Haryana and Delhi had gone into denial mode about its existence. Retracting its previous stand about Najafgarh area having no natural lake, the Haryana government informed the National Green Tribunal (NGT) that it has accepted the lake as a water body. This re-designation of the lake would empower both Haryana and Delhi to restore its natural beauty by curbing construction and other activities in the dried-up water body. The recent submission from the Haryana government came in response to a plea filed by the Indian National Trust for Art and Cultural Heritage (INTACH)—a non-profit organisation based in Delhi. However, the M L Khattar government informed the NGT that the matter has still to be approved by the competent authority of the state government and the process is on. The state government had earlier claimed that only a "low-lying area" exists in Najafgarh. 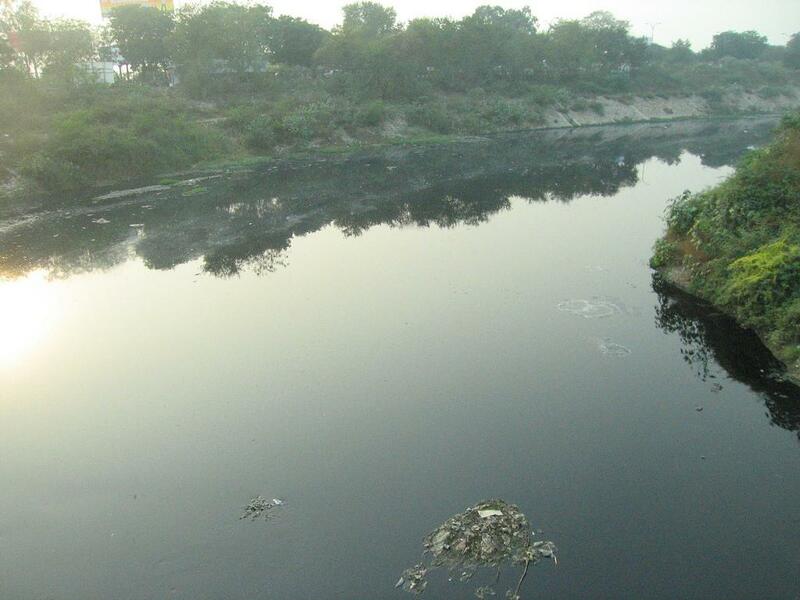 Delhi residents are familiar with Najafgarh drain, which discharges the city’s waste into the Yamuna. But they do not know that this ‘drain’ has its source in Sahibi River, an offshoot of Yamuna. The Sahibi River is now turned into, what is colloquially called Najafgarh drain, because Gurugram dumps its sewage into it. The NGT has now directed Delhi government to take "appropriate steps in accordance with law" for revival of the lake. The INTACH had earlier raised an alarm over large-scale construction work done in the floodplain of the lake. It had expressed concern over construction of sectors 106, 107,108 of Gurugram in the "high flood level" area of the lake. “On October 7, 2016, the Ganga Notification issued by the Ministry of Environment Forest and Climate Change (MoEF&CC) clearly stated that no construction should take place on the bank of Ganga or its tributaries or active flood plain area. As Najafgarh lake is an offshoot of Yamuna, which, in turn, is a tributary of the Ganga, it naturally falls in that category. But construction still continues, wholly or partially, within 100-year flood level of the lake,” says Manu Bhatnagar, Principal Director, Natural Heritage Division, INTACH. Located in south-west Delhi and Haryana, the Najafgarh lake used to cover more than 300 sq km of area in southwest Delhi and the area was known for a natural bird sanctuary. 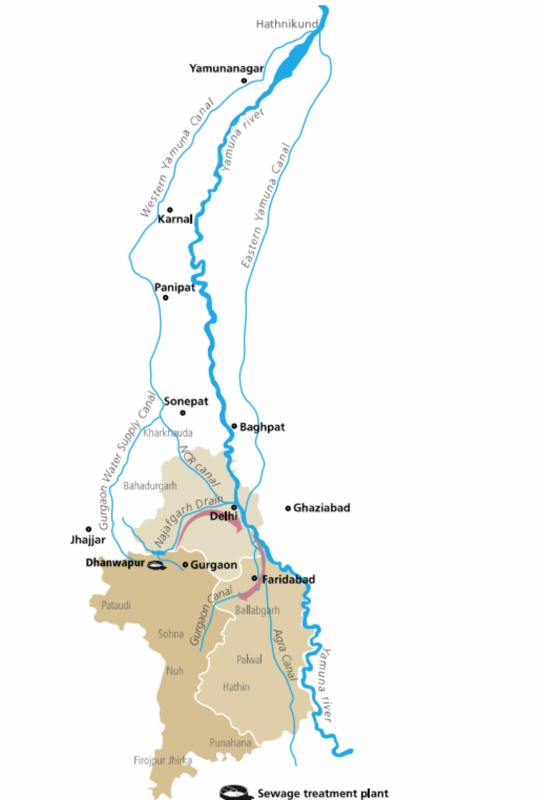 According to a research (Excreta Matters) on sewage disposal of India by the Delhi-based think tank Centre for Science and Environment (CSE), while old Gurugram has a sewage network, the New Gurugram is only partially covered by it. Hence, about 50 per cent of Gurugram’s sewage is not collected. Where does then all the sewage go? It flows through drains and gathers at various places and contaminates the groundwater. A part of it, which flows through the pipes, reaches a sewage treatment plant and then to Najafgarh drain. The drain brings the highest load of pollution into the Yamuna, which was estimated at 1,800 million litres per day in 2005. “Delhi had built an embankment on its side and certain punctures were deliberately made to let out water in case of excess flow. I think Delhi should keep the punctures open to admit the water of the Najafgarh lake into its side,” he added. Bhatnagar also emphasised the need for improving the water treatment level in Gurugram. Why is reviving the lake so significant? “According to the study by the Central Ground Water Board, the water table in Gurugram may get exhausted in few years. The lake can become a water recharge zone and address the issue of water scarcity” adds Bhatnagar. To put it into perspective, the groundwater level of Gurugram was 6.64 metres in 1974. By October 2016, the level reached an average of 27.05 metres.